Building Information Models typically end their active life after the construction phase. An experimental project was initiated to find out whether and how they can serve owners throughout the life cycle of a building. Gradia, the Jyväskylä Educational Consortium, provides education to students of all ages in central Finland. It has around 25,000 students, a staff of 1,100, and buildings with a total floor area of 150,000 square meters. Gradia and a team from Gravicon and XRM Finland carried out a government-supported KIRA-digi experimentation project in 2017 on the use of BIMs for building maintenance and repairs. The project created process descriptions, an exemplary maintenance user interface, and use cases of practical implementations. It also specified maintenance information needs and tested model data exchange using the specifications. Gradia is a pioneer in owner-driven BIM. 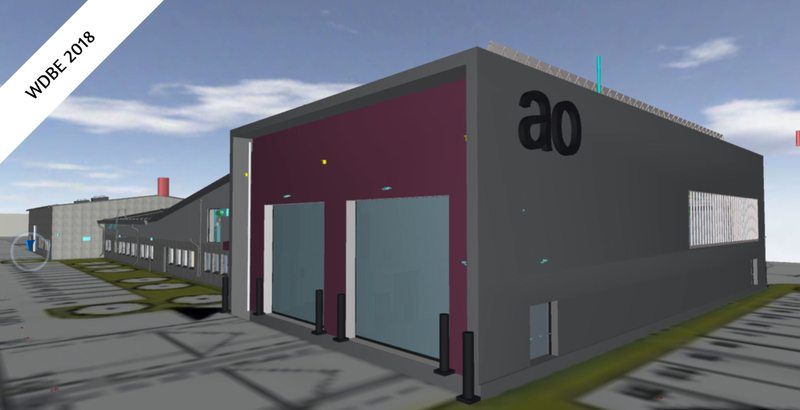 They have been using building information modeling for over 10 years. It has updated its existing models systematically and created new inventory models of renovation design. Kaarnamo states that Gradia always “builds as designed.” Even on small annual repair projects, designers use BIM and hand the models over to contractors. Gradia has general agreements with architects and engineers for keeping the BIMs updated. Reliable as-built information improves the productivity of every party to a project and thus saves the owner money. Gradia partnered with an expert team lead by Jarmo Laitinen, Professor Emeritus and Senior Advisor at Gravicon. The other members, Jenni Kaukonen and Toni Teittinen are BIM specialists at the same company. XRM Finland joined in as a software developer. Teittinen points out that BIMs are especially valuable to fast-changing properties. Having the right information at hand at any moment shortens maintenance lead times and saves costs. It also helps the owner manage assets and spaces. The project used a Gradia building in Lievestuore as a pilot. The team started out by researching the data from the pilot’s architectural, HVAC, and electrical BIMs. The team came up with process models that describe how building information should flow during a property’s life cycle. An important consideration was the so-called “digital twin” of a property. What it is, who owns it, and how design BIMs are integrated into it were questions that the project also tried to answer. The project created a demo interface for maintenance requests using the pilot’s BIMs and XRM Finland’s Premis software. The architect’s model was made with Archicad, which Premis could read natively. 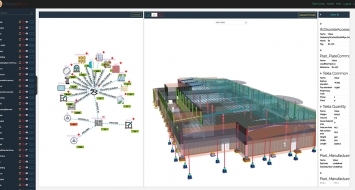 It could create visualizations of the BIMs with BIMx, an Archicad extension. The HVAC and electrical models were transferred from MagiCAD in open IFC exchange format, but doing so required additional manual work. 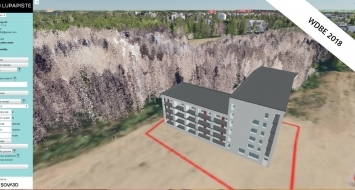 The project was able to use existing Finnish YTV (Common BIM Requirements) as a starting point. It became evident that especially in mechanical design, the IFC format needs further development if the files are to be machine-readable. Design and construction create a huge amount of data. If the property information is not updated meticulously, the users cannot trust any of it and won’t use it. On the other hand, if it is relevant and correct it is a big time-saver. Professor Laitinen agrees. He sees operations and maintenance as the “real business” of BIM that developers have been overlooking for too long. If you want to contact Riikka Kaarnamo, email her at riikka.kaarnamo(at)gradia.fi. You can reach Jenni Kaukonen at jenni.kaukonen(at)gravicon.fi. The project team will give a presentation at the World Summit on Digital Built Environment WDBE 2018 in September in Helsinki. Sign up to see it plus 100 other presentations and 10 keynotes from all over the world. RIL - Suomen Rakennusinsinöörien Liitto: Ilmoittaudu mukaan alkukesän huipputapahtumaan - LCI-päiville! RIL järjestää jälleen yhteistyössä LCI-Finlandin kanssa 3.–5.6.2019 Lean Construction Congress -tapahtuman. Teemana tänä vuonna on "Leap Lean: Cultural Change for Improvement". Tapahtuman ohjelma on nyt julkaistu! Käy katsomassa ohjelma kokonaisuudessaan ja ilmoittaudu mukaan osoitteessa www.lci19.org!